Hand crafted Harris Tweed cushion cover. 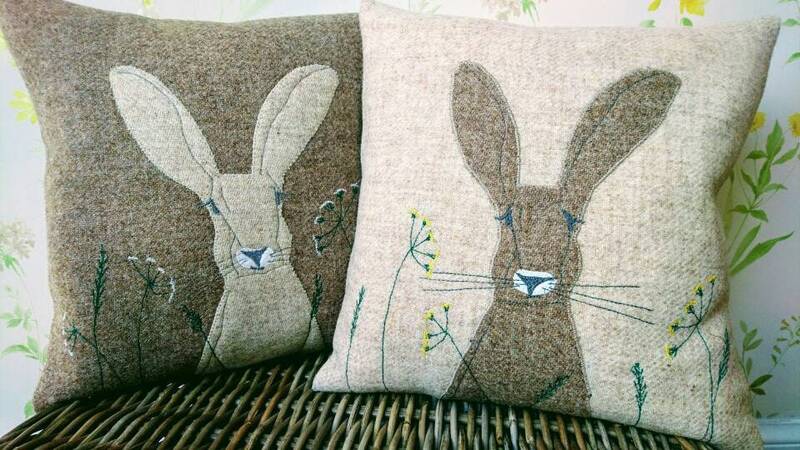 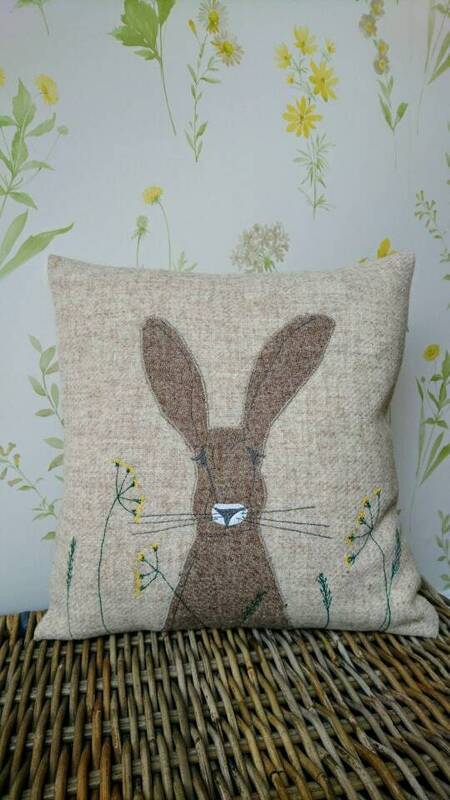 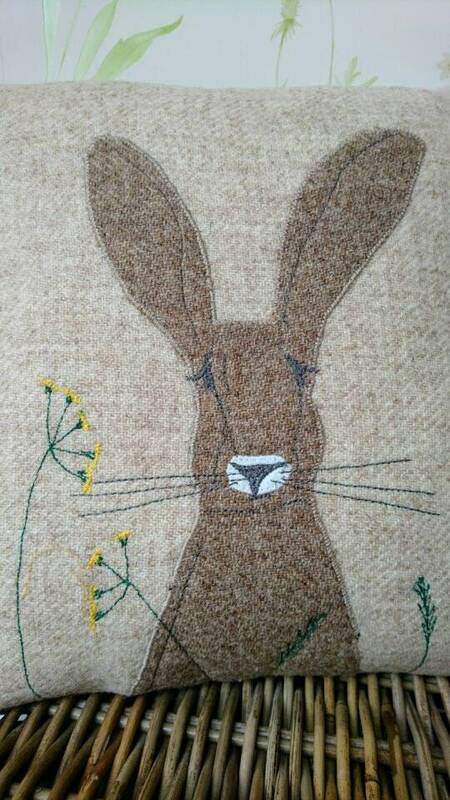 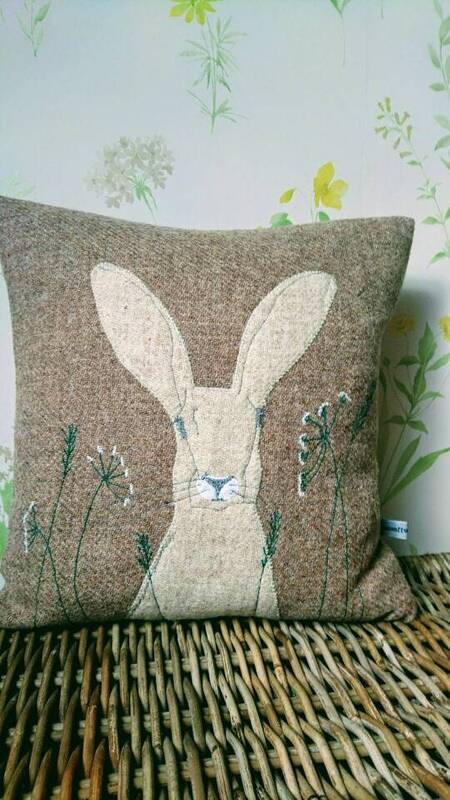 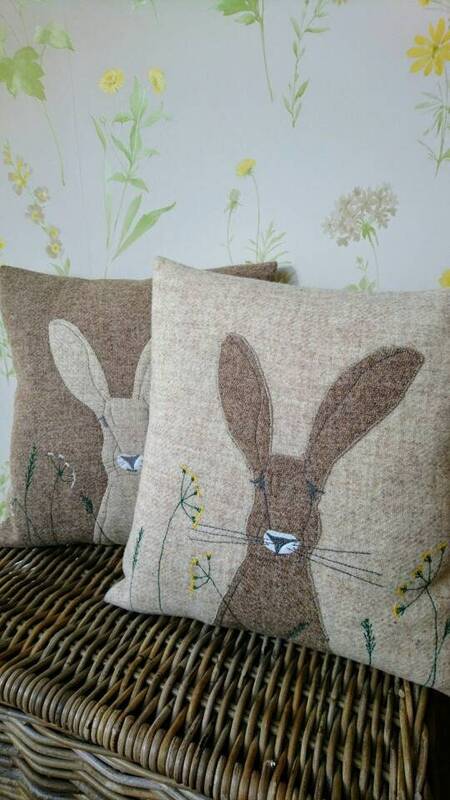 The hare was hand drawn and cut out of Harris Tweed and embroidered onto the cushion. 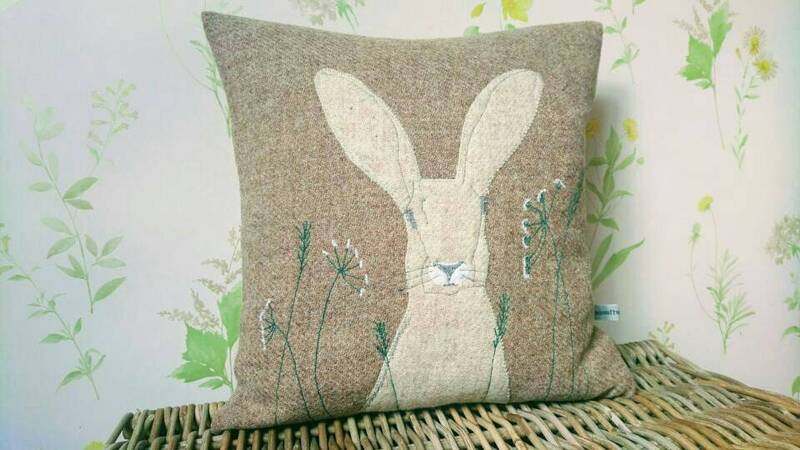 This cushion cover would fit 14 by 14 inch filler (filler is not included).